More than a hundred works of Salvador Dalì in Sorrento. Will be exhibited at Villa Fiorentino, headquarters of the Sorrento Foundation, from June 13th to September 29th. The art exhibition want to illustrate all the passions of Dalì: painter, sculptor, designer, Dali has explored any type of art. In the exhibition at Villa Fiorentino there will be glass sculptures and bronze sculptures, gold objects and furnishings objects. The exhibition will not be enclosed in the walls of the Villa. In the main squares and streets of Sorrento will be, in fact, several Dalì sculptures and all guests of Sorrento Coast will enjoy the art of Surrealism. 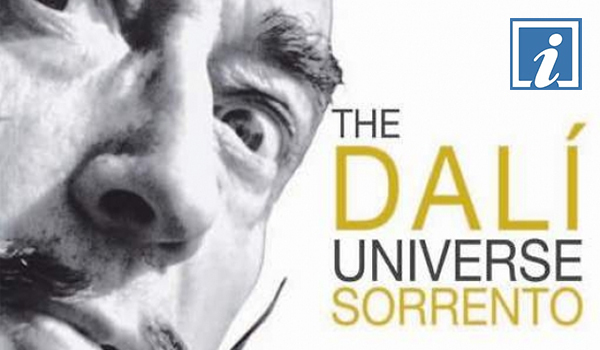 “The Dalì Universe“, this is the title of the exhibition, is curated by Beniamino Levi, President of the Stratton Foundation, that will bring the art of Dalì first in Florence and then make a stop in Sorrento. An exhibition not to be missed for guests of the Sorrento Peninsula and the Amalfi Coast.